When you hear the term hostel, what probably probably comes to mind are visions of dingy backpacker dens, where sleeping in your clothes is recommended and sharing a bathroom with 20 other weary travelers is the norm. Though you might have put up with them in your youth, there's no longer a need to in many major cities. A number of innovative "hosteliers" have reinvented the wheel, creating a more, stylish elevated experience without the inflated price tag. 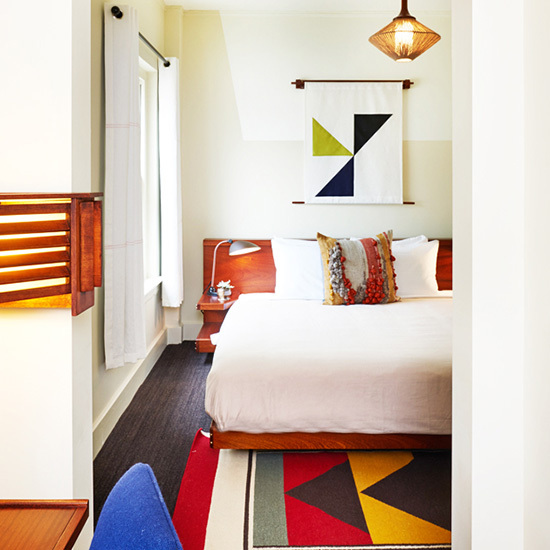 Redefining inexpensive lodging, the following inns feel more like boutique hotels than the scary youth hostels you remember. Featuring thoughtful interiors, luxurious amenities, and stylish bar and dining options, these are the places to stay when traveling on a budget. This article originally appeared on MyDomaine.com. Click for the full listing. What you’ll love: A vibrant scene and multiple common areas make socializing at this sleek and colorful hostel no problem. In addition to the low rates, for an extra $3, you can guarantee your own private bathroom. 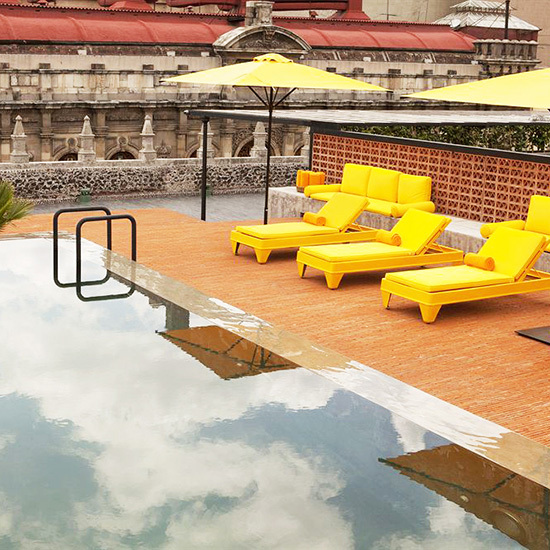 What we love: The rooftop pool and lounge will make you feel like you’re at a luxury hotel. What you’ll love: Situated right in the heart of both cities, these stylish bohemian-inspired spaces offer both private and shared room options. The Miami outfit boasts a pool and on-site bar and restaurant while the Chicago location is in one of the most desirable neighborhoods in the city. What we love: Designed by Roman & Williams, the spaces are chic, yet approachable. 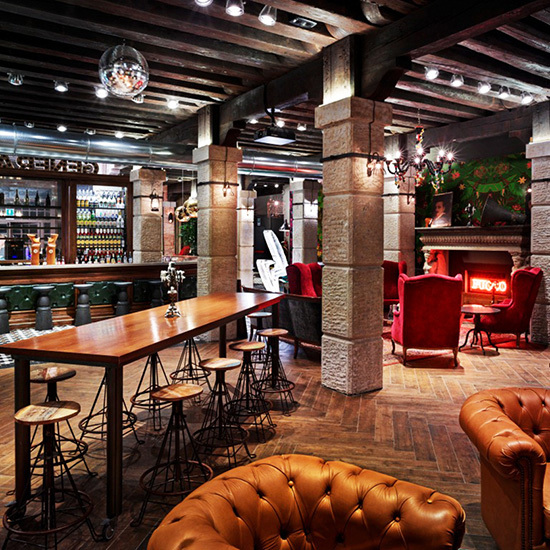 What you’ll love: This stylish chain of hostels has locations in many European cities, but we’re especially charmed by the chic interiors and high-style essence of the Venetian outpost. Close to Piazza San Marco with a happening social scene thanks to DJ sets and a gorgeous bar, this is the place to stay when looking for a cross-section of culture and fun. What we love: The stylish but authentic interiors of the hostel are the perfect combination of modern style and old-world flair, plus the shared dorms have views of the sea. What you’ll love: Stunning views of the city are matched with authentic interiors in this traditional space. 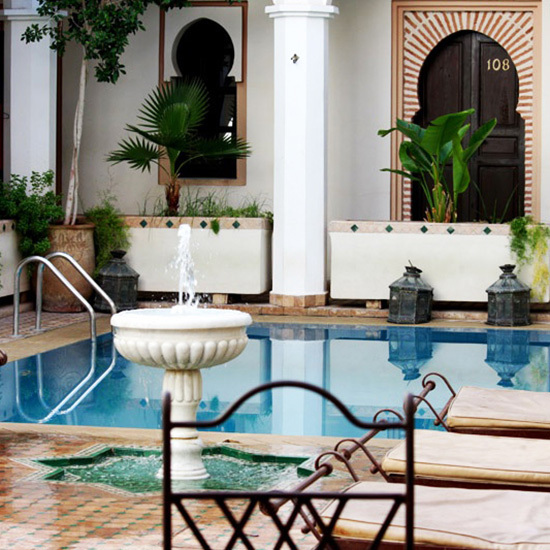 A heated swimming pool is great for relaxing and the traditional Moroccan dinner offered by the hostel is a convenient way to get some local flavor. What we love: In addition to the swimming pool, bar and restaurant, this hostel also offers spa services from manicures and pedicures to massages and henna application. 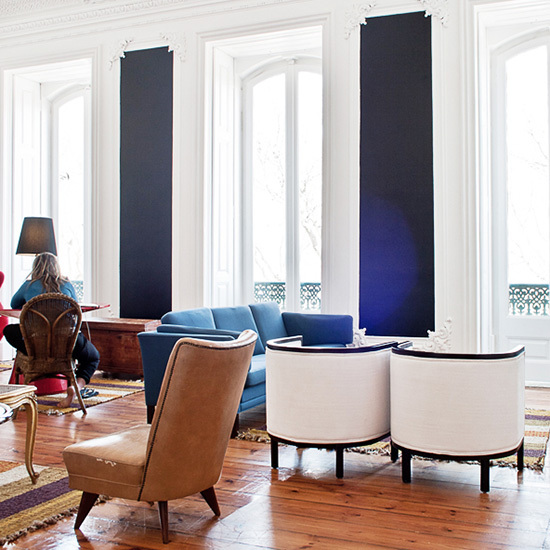 What you’ll love: Located along the Tagus River, a selection of rooms have balconies overlooking the water while the hostel’s bar, restaurant, and beer garden make for the perfect place to hang out and converse with locals and fellow travelers alike. What we love: The historic building boasts soaring ceilings and windows, inlaid wood floors, and exquisite moulding details.